Tired of being ignored or forgotten? Recruiters know that their intended audience is busy. Whether they are looking into college or trying to learn a trade, young men and women these days need to be engaged directly by recruiters.That’s why SMS text messaging is a vital recruiting strategy for today's recruiters because it allows them to cut through the noise and reach candidates directly. Here are 4 ways that recruiters can leverage SMS messaging to find the right candidates. Making the decision to join the Armed Forces isn’t a light one, so potential recruits often have to mull it over and talk it over with family and friends. Recruiters know that playing phone tag can be a major headache, and often young people today prefer getting to know someone via text message first. Luckily SMS texting is a low-stress way for recruits to get to know their recruiter and build a better relationship. Utilizing two-way sms, recruiters can allow recruits to ask questions and get advice so that they can make the decision to join without any reservations! Most texts are opened in under 3 minutes. If you’re a recruiter, the concept that the texts you send will get a response is an enticing one. In fact, 73 percent of Americans over the age of 18 send and receive text messages on their cell phones. In addition, 31 percent said they would rather get a text than talk on the phone, a number that grows every day. While some recruits may be eager to enlist from the get go, the majority of them will have to talk things over with friends and family. That’s why following up with texting is so effective because it allows recruiters to build relationships and stay in the conversation, allowing them to get a higher recruiting rate and leading to more satisfied recruits. When the recruiter and the potential recruit have an open line of communication they can send questions and answers back whenever it is convenient, day or night. This means that they can both walk away from the experience satisfied that everyone was kept informed and that there were no unexpected surprises. SMS messaging can be a powerful tool in of itself, but if you have a multi channel solution you can cover all of your bases. Why would recruiters need to widen their nets? A decade ago, 40 percent of young people had never spoken to a recruiter. But today, that number is up to 60 percent. In order to find those people best suited to life in the military, recruiters need a large pool of potential candidates, and they need a way to keep up with those numbers. Luckily, recruiters know that Trumpia has their back. With our advanced automation capabilities, they will be able to keep up with recruits and automate the tedious parts of their days. You can instantly have our system send them more information if they text in a mobile keyword, or automatically send follow up texts to recruits that needed more time to think things over. 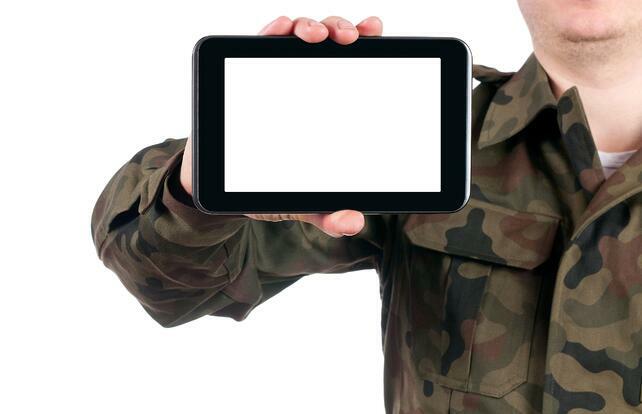 Are you interested in how the Trumpia platform can streamline communication in the military? Click here to learn more!